Thanks to the early success of “American Idol,” Fox had a run as the top broadcast network on TV. Now that “American Idol” is in the waning stages of its popularity, Fox is still in a rebuilding mode. At today’s Fox session at the Television Critics Association Press Tour (via The Hollywood Reporter), Fox Television Group chairmen and CEOS Dana Walden and Gary Newman revealed that the network is exploring revivals of “24,” “The X-Files” and “Prison Break.” This is on the heels of last summer’s “24: Live Another Day” miniseries that saw Kiefer Sutherland reprise his role as Jack Bauer. However, Fox is so eager to proceed with another version of “24” that the network seems willing to do it without Sutherland returning for the next iteration. 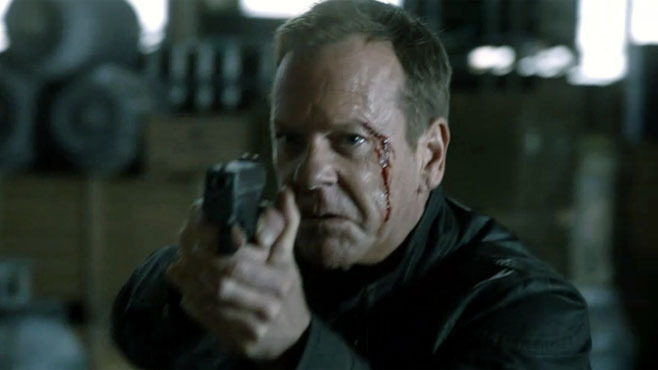 The report notes that “24” producers Howard Gordon, Evan Katz and Manny Coto are coming up with ideas for a new storyline that could work with or without Jack Bauer. Sutherland has recently indicated his desire to retire the Jack Bauer character. Newman added that “we’ve had some conversations on X-Files and we’re hopeful that we’ll bring that back.” However, Walden was adamant that a revival of “The X-Files” won’t happen unless creator Chris Carter and series stars, David Duchovny and Gillian Anderson agree to return. Which classic Fox show do you want to see return to TV as a miniseries? Let us know in the comment section below!